This connects to Squarespace in some way, we're sure. 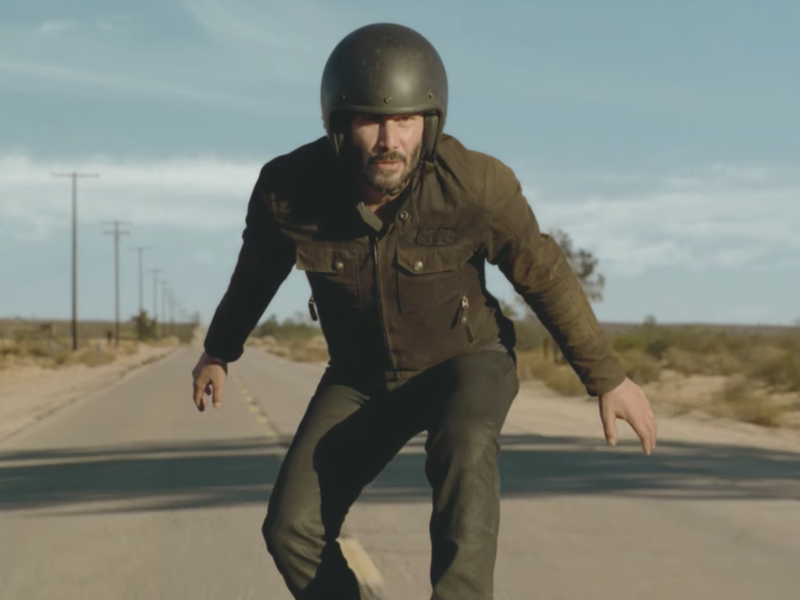 There will never be anyone like Keanu Reeves is something we already knew, but apparently, he feels the need to repeat that to himself from time to time… while surfing on a motorcycle. In this ad for Squarespace set to premiere on television during Sunday’s Super Bowl, Reeves finds his inner zen while standing on the top of a motorcycle — a stunt which Squarespace assures us he did perform himself. The motorcycle in question is from Reeves’s own motorcycle company Arch Motorcycle, which used the Squarespace service to build its own website. This barely touches the surface of star-studded Super Bowl commercials counting on celebrity buzz to get peoples’ attention. Earlier this week, Danny McBride and nearly every famous Australian actor on the planet (including Hugh Jackman, Margot Robbie, and Russell Crowe) appeared in a fake trailer for a “Crocodile Dundee” sequel/ad for Australian tourism, while Peter Dinklage and Morgan Freeman lip-synced for their lives to the tunes of Busta Rhymes and Missy Elliott. Super Bowl LII begins at 6:30 p.m. EST on NBC.